When The Strokes emerged in 2001 with their debut Is This It, few could have foresaw the instant impact that the band had on the trajectory of rock music. 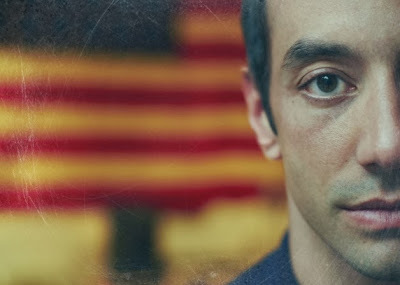 Jon Cronshaw spoke to the band’s guitarist Albert Hammond Jr. In the early 2000s the indie scene of the mid-90s had been completely overshadowed by the misogyny and brashness of ‘nu-metal’ bands like Limp Bizkit. But in early of 2001 a three-track EP The Modern Age started making the rounds – it was urgent and sounded like it had been recorded over a telephone. It was like nothing else around. Over the following months until the group released their debut, to say that the media hype was overblown is something of an understatement. “The hype bothered me because I knew it would push certain people away from liking us because of how extreme it was, but I can’t really complain because it help the band get successful,” he adds. But the guitarist is now back on the road performing his own solo material to promote his new EP AHJ. “The tour so far has been amazing,” says Albert. “It’s been one of surprise, wonder and amazement. “The new songs seem to be everyone’s favourite, even though some of the older ones people add memories to,” he says. For Albert, his solo work and commitment to The Strokes takes equal residence. “My intention’s always been to try and write great songs,” he says. “Nothing’s changed in terms of what I want to achieve, it’s just that my ability and understanding of it has got better. “I believe that you only get better as you get older, so I don’t save any songs for myself – I give them my best, and I create something better later. “It’s a constant struggle of trying to push yourself and find fans of what you’re doing and have a career out it,” he adds. Having a career in music is not alien to to the Hammond family – Albert senior was a highly regarded folk singer. However, Albert never saw becoming a musician as following in his father’s footsteps. “It’s so funny that people mention my dad,” he says. “I don’t feel like I grew up in a musical household or anything like that. “I never really related to it – it was just my dad. “He never pushed me to music, and when I did want to be in a band he made sure I was doing it for the right reasons,” he says. For musical influence, Albert looked to some of the bigger names in rock history and towards some of the more obscure artists in American rock. 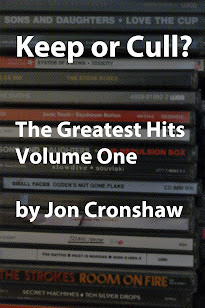 “Buddy Holly and Roy Orbison gave me that first little tingle with music. “Then I progressed to stuff like the Beatles and the Velvet Underground,” he says. This article was published by the Yorkshire Evening Post on December 3, 2013.